The photos above are of a pre-ban Russian Saiga that I converted to an Ak-101 configuration. Some photos of a rifle I re-barreled with a Proof Research carbon fiber barrel and trued the action, for a gentleman from Bozeman. 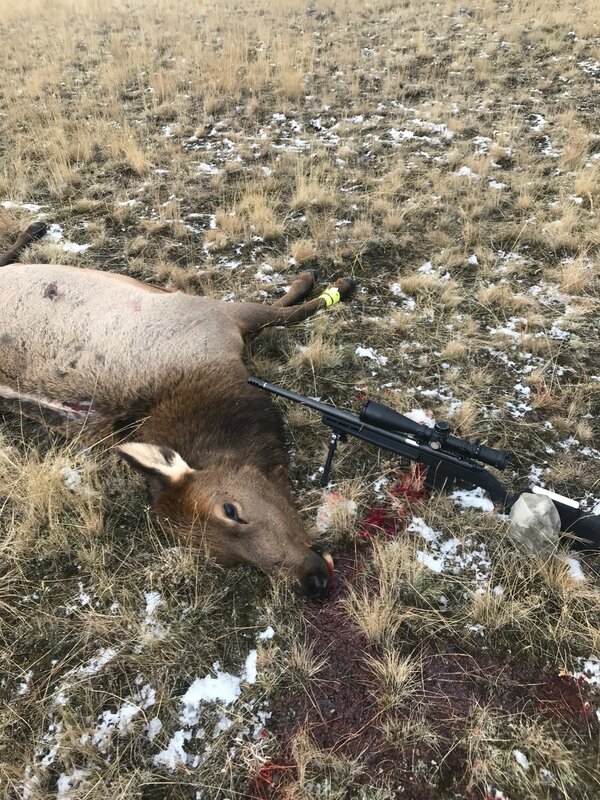 He shot the elk and the group with the rifle. 5 shots at 100 yards with Hornady American Gunner ammo. This is a rifle I built for a gentleman from Utah. Proof Research barrel, trued Remington 700 action with a trued and lapped PTG bolt and AG Composites 100% carbon fiber stock. This is prior to finishing the rifle with Duracoat and replacing the bolt shroud with a non-J-Lock shroud.